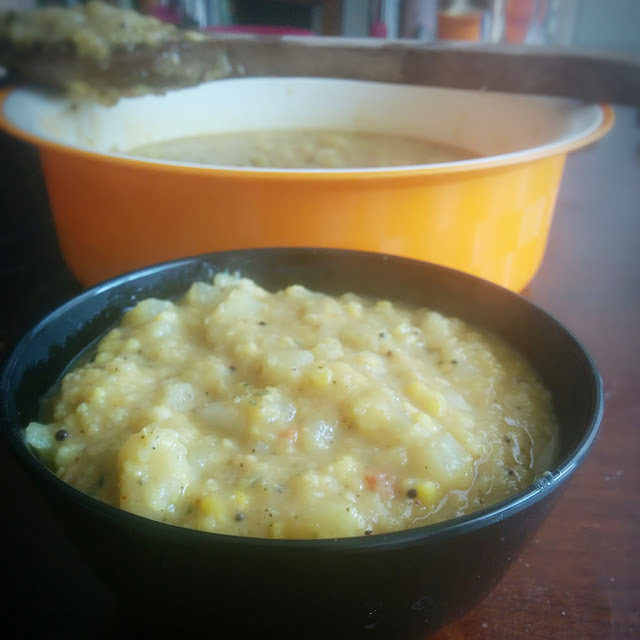 Cook moong dal and cauliflower stem by adding salt and turmeric powder till it gets soft. Set aside. Roast all the grinding ingredients except coconut and grind them to a smooth paste. Add this paste to cook moong and cauliflower stem.